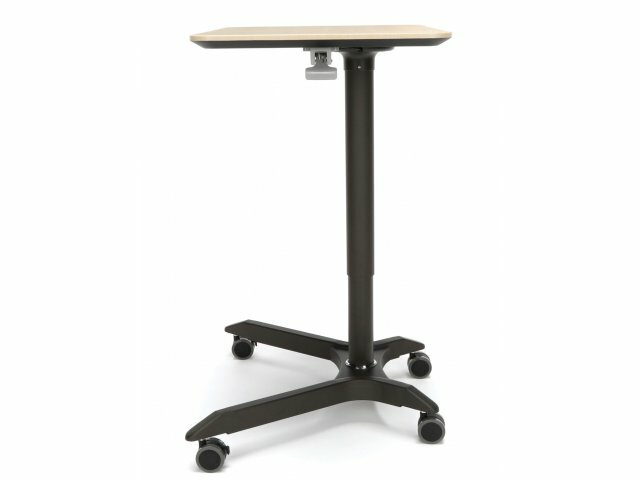 The Mesa Adjustable Sit Stand Desk from OFM creates a versatile work space wherever you need it. 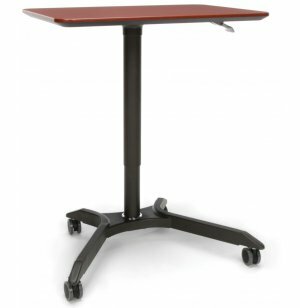 Offering all of the benefits of an adjustable standing desk, the work surface easily adjusts when you pull the lever underneath. 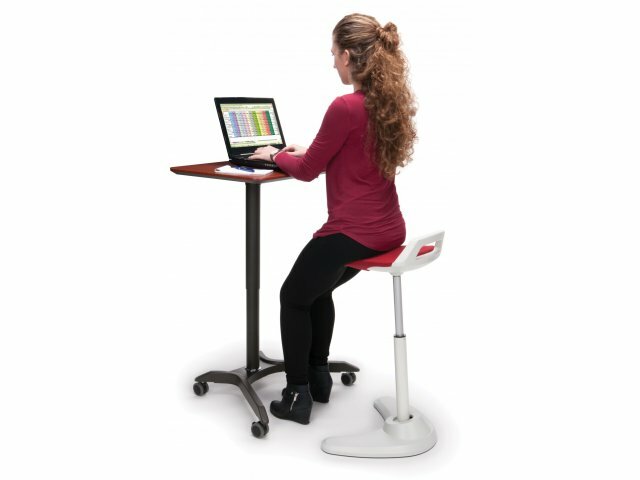 This allows anyone to get to the perfect height, whether they are using it as a private work station, or giving a presentation in front of a packed house. 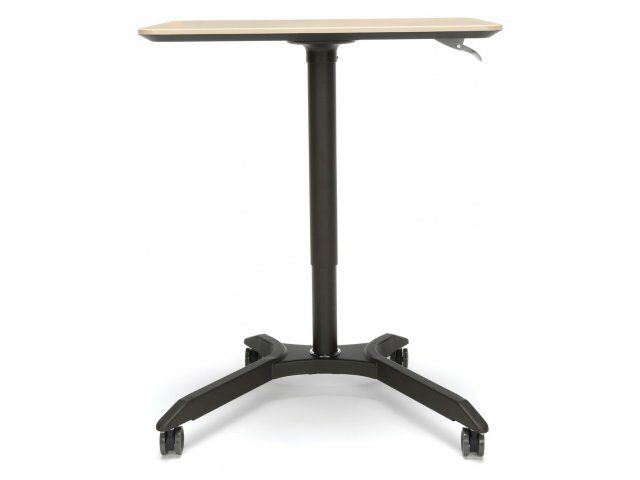 Getting your sit stand desk where it needs to go is a breeze. 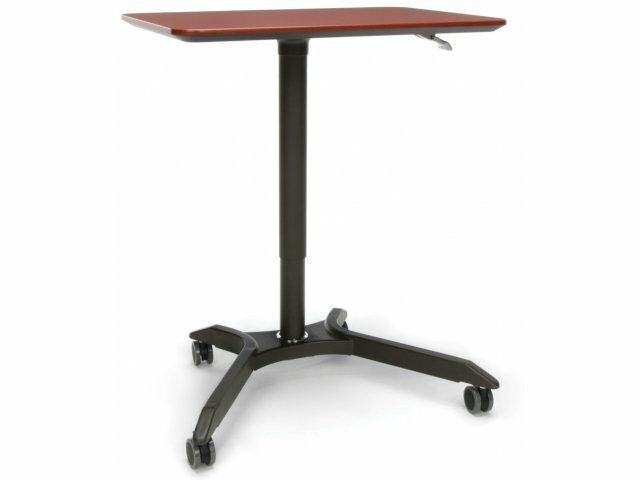 Four casters on the steel base smoothly glide into position. Once you get the desk set up where you need it, two locking casters will keep it securely in place for as long as you like. When it comes to choosing a multipurpose workspace which fits the style of a modern professional, this is an excellent option. 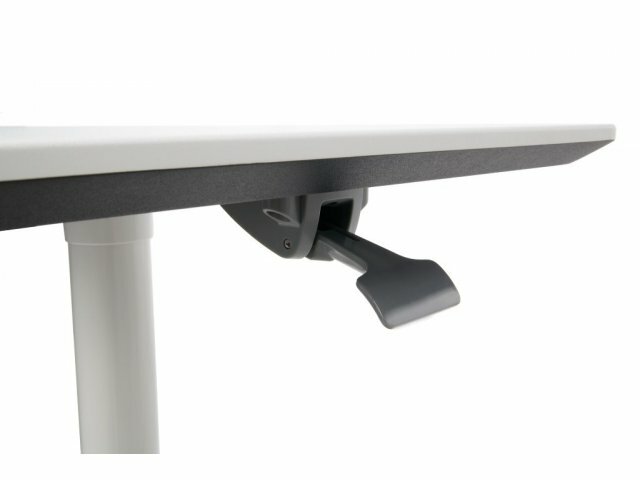 Easy Adjustment: Work surface adjusts from 27-41" via telescopic post. Smart Design: An accessible lever right under the work surface facilitates quick adjustments. 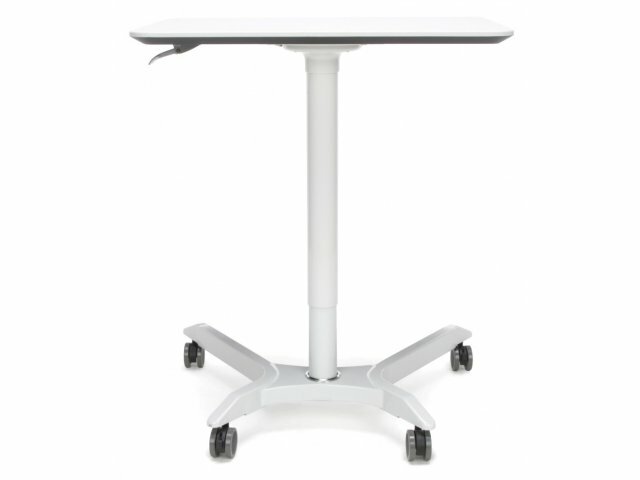 Sturdy Support: Stands on a powder-coated steel base, with four legs for stability. 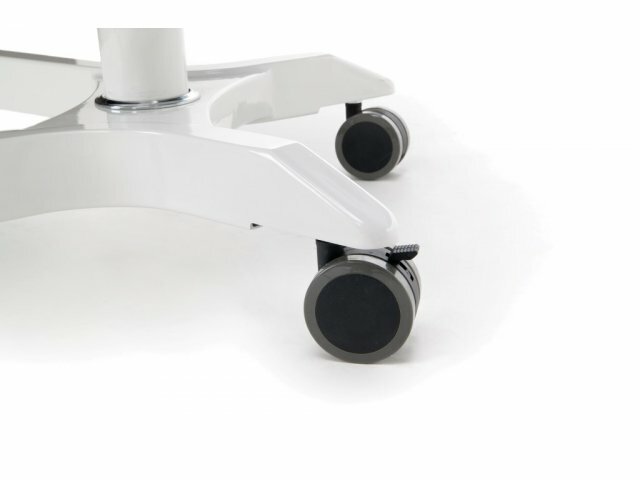 Smooth Rolling: Glides into position on four casters (2 locking).